20 Beechlawn Green comprises a well presented three bedroom semi-detached residence on a large corner site. In addition, formal planning permmision has been granted for the construction of a new two storey house. The original house which dates from the earlys 1970's has been well maintained and updated over the years. Extending to c.1097 sqft/101.9 m2 overall, the downstairs accommodation briefly comprises an entrance hall, two interconnecting reception rooms and kitchen. Upstairs, there are three bedrooms and a shower room. Modern finishes and fittings in the kitchen and bathroom are complemented by a tastefully decorated interior to make this home ready for immediate occupation. 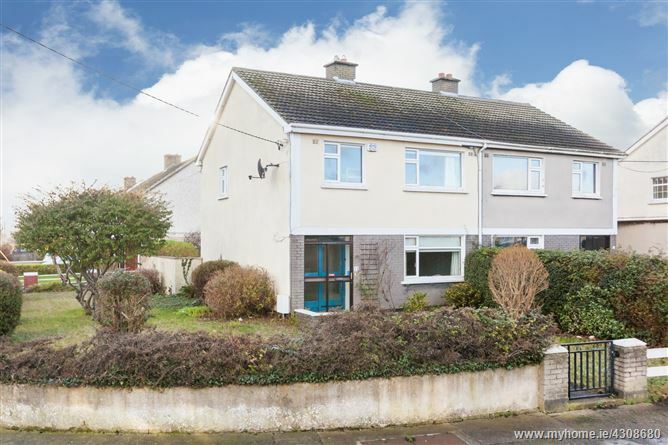 Beechlawn Green enjoys a superbly convenient location just around the corner from Northside Shopping Centre and within walking distance of local schools, Beaumont Hospital, Artaine Castle S.C. and other residential amenities. Dublin Airport, city centre and M1/M50 motorways are all easily accessible from this popular address. Modern fitted kitchen with integrated oven & hob, microwave, dishwasher. Tiled floor and splashback. Modern bathroom suite to include shower, wc and whb. Tiled floor and wall.